devx offers consultancy services for hardware/software selection, infrastructure strategy and architecture, disaster recovery procedures, security, storage solutions (RAID, SAN), migration paths, it maintenance and monitoring. Implementation of a fitting it solution can be done in multiple ways. This can be done for example by changing your business processes, tune them or even by eliminating them. Of course it doesn’t end with structured automation of processes, but also structured maintenance is of great importance: Maintenance to (custom) software, hardware, networks and your business processes. devx doesn’t supply you with hardware or software, but can advice you or point you in the right direction to reliable suppliers. During my carreer I’ve had lots of experience with large vendors like Dell, HP/Compaq, Sun, IBM, Oracle, Microsoft, Adobe, Enfocus en Quark. 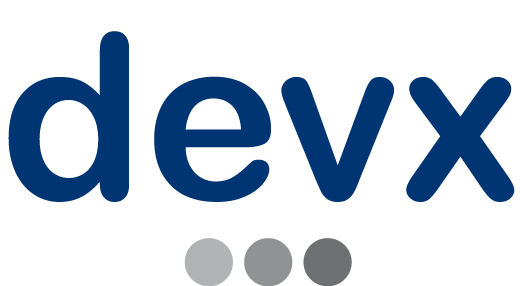 devx finishes your it projects for a fixed price, so no surprises afterwards. devx is your partner if it concerns preventive or occasional system management. With my broad experience I can help you reduce your downtime. Maintenance and control, the most important issues for IT organizations. With good preventive system maintenance you can reduce the chance for your servers, and your employees, to stop working. With all the costs this entails. For a fixed price, your server and network infrastructure is checked and kept up-to-date. Of course you have the flexibility to compile the set of tasks you want done. Therefore you can seamlessly connect the outsourced tasks and the delivered performance with the needs of your organization. We don’t work with (long term) contracts, so you can stop using this service whenever you wish. This makes it convenient to make use of occasional system management, also to support your current system administrator(s). I can also be of service with properly deploying your it management organization by providing you with a system management plan that helps your (part time) system administrator(s) working in a more efficient manner. Services are of course not limited to the list above. For questions or other inquiries you can contact me.